Lattice Consulting has chosen to focus on supporting capacity building efforts by mental health and addiction NGOs because the social values that are inherent in these types of organisations more closely reflect our own, they are a vital part of the future success of the health and social sector system and the research suggests that they are in need of some external assistance to help them tell their performance story. 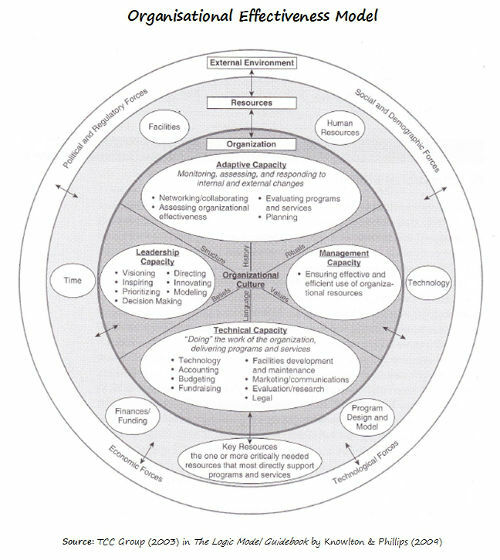 Capacity building can be defined as any activity that strengthens the ability of an organisation to achieve greater performance and impact (Connelly, 2007). There are a number of different models that describe the range of capabilities, knowledge and resources that are considered to be essential in order for a NGO to deliver on its vision, with the caveat that some factors have proven to be more important than others. working in partnership with other organisations, particularly with other NGOs that are strong in those areas where they have identified they are vulnerable. This approach is consistent with our community development principles and is an emerging area of interest for the Lattice Consulting team. The following diagram puts forward both leadership and adaptive capacities as being the most critical. Management and technical capacities follow closely behind.